The latest Windows 10 Technical Preview for phones build added the new Spartan browser and a ton of universal apps, but it appears to have introduced some severe problems, as well. Microsoft’s halting availability of the Windows 10 Preview on the most popular Windows Phone in the world, as well as two other models, after numerous reports of a crippling bug bricking users’ handsets. The message sparked a slew of complaints from Windows Phones owners who say they’ve had crash-prone experiences with Windows 10 on those devices, and then bricked their devices completely when attempting to go back to Windows Phone 8.1 using the Recovery Tool. This is why Preview builds shouldn’t be installed on your primary devices, folks. 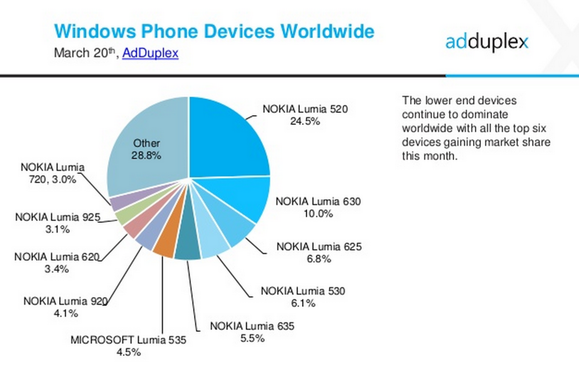 The Lumia 520 still dominates in AdDuplex's March 2015 statistics. The low-cost Lumia 520 is far and away the most popular Windows Phone in the world, according to statistics from AdDuplex, and at a company meeting in September 2013, Microsoft said the Lumia 520 was the best-selling single Windows device period, according to Paul Thurrott. The phone’s remained insanely popular since its launch—helped, no doubt, by its sub-$100 price point. 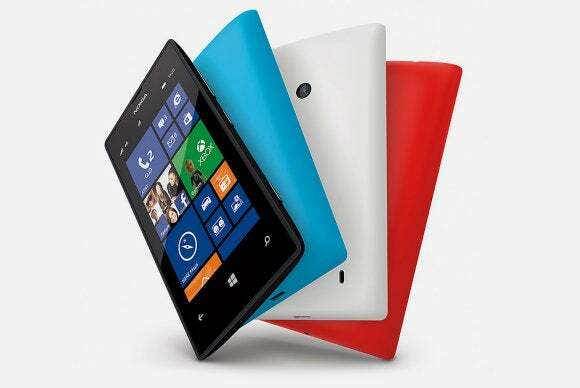 The Lumia 525 is its successor, a minor refresh of the original. Haven’t installed the new Windows 10 for phones preview on your Lumia 520 yet? Count yourself lucky. While you’re waiting for Microsoft to iron out the kinks, check out our hands-on with the new build to familiarize yourself with the new features (eventually) heading your way.